Card Text Use during your turn. Move all Characters on your Scene to any Scenes you choose. 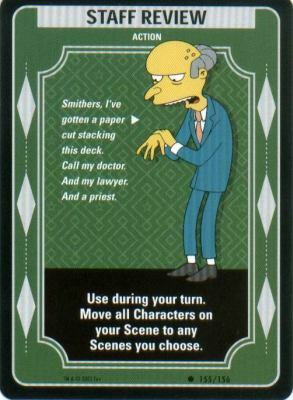 Flavor Text "Smithers, I've gotten a paper cut stacking this deck. Call my doctor. Any my lawyer. And a priest."